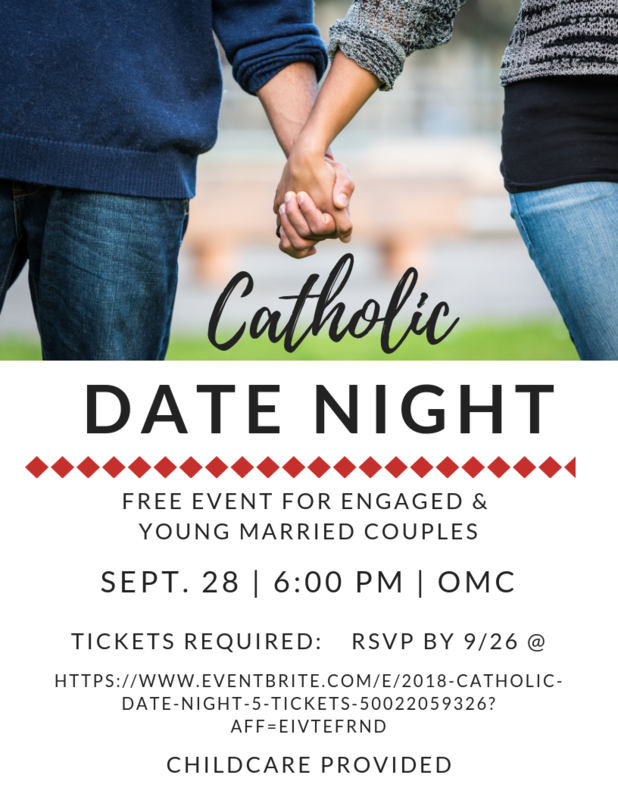 Catholic Date Night is a free event with childcare provided, for any engaged or married couples. You do not have to be Catholic to attend. ALL are welcome! However, you must RSVP by September 26th in order to attend.